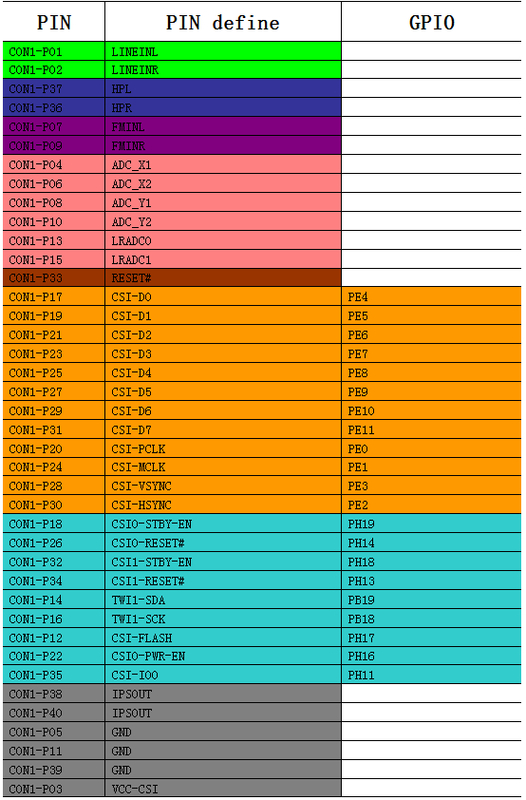 We can check Banana Pi PIN definition in this thread, including CON1, CON2, CON3, J11 and J12. 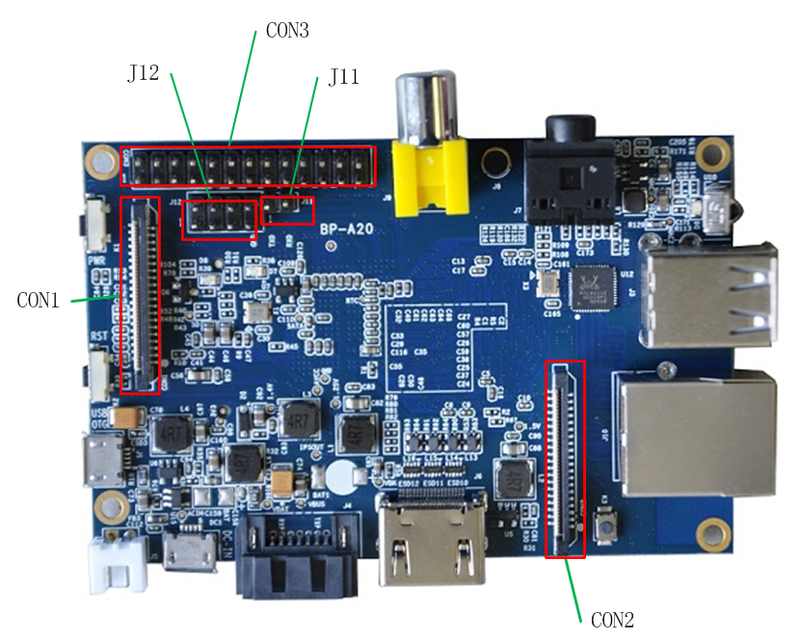 J11 contains the default serial port UART0 (UART0-RX,UART0-TX). UATR0 is configured to be used for console input/output. Whilst this is useful if you want to login using the serial port. So it is the most common used PIN. 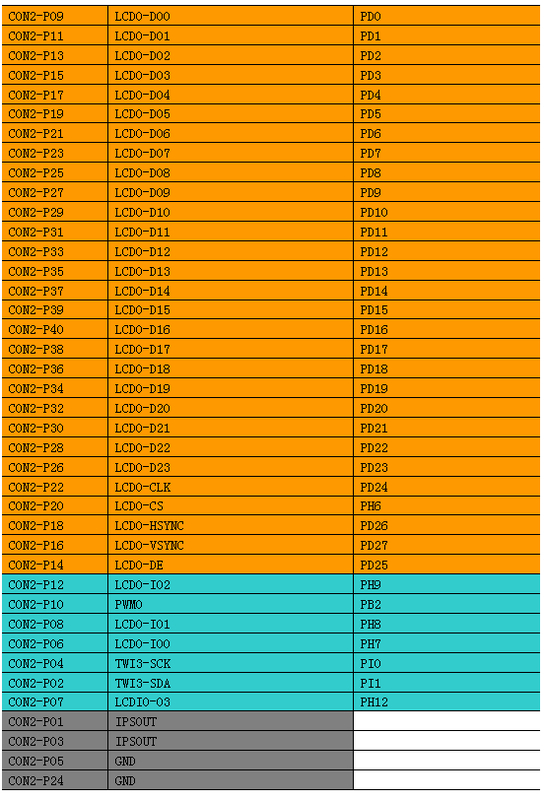 CON2 is a LVDS display connector. Good work for spending time to collect those information. Should be wrong here or website! First, the interface.jpg shows DSI DISPLAY CONNECTOR on the webpage --> Looks like it is the CON1 pin definiton here... But CON1 here is talking about CSI Camera Interface! pin definition here....But CON2 here is talking about LCD interface...! After clean the web cache data of browser, the picture and its description are correct now. Confirmed CON1 is CSI, CON2 is LCD interface. 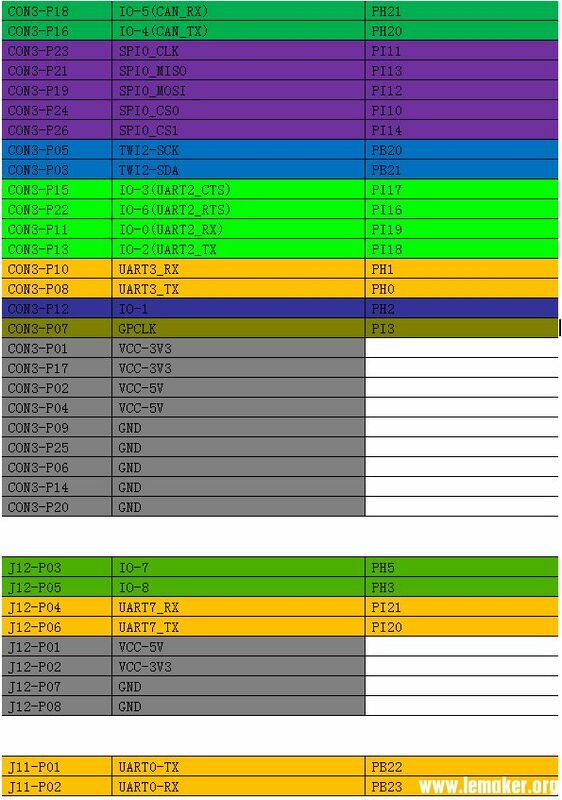 Anyone can advice some ribbon cables for CON1 and CON2? What pitch between pins have this connectors? J12 not marked as "Attention no Input" Other 5V pins marked..
if external Power without usb onboard? 1. What are the pins LCD0-IO0 to LCD0-IO3 used for? 2. In what order are the data pins? 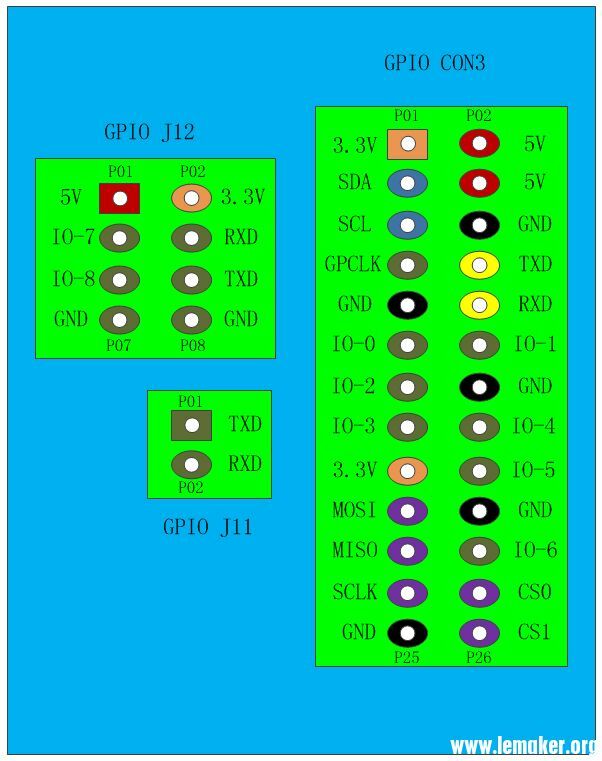 Is my guess LCD0-D[7:0] = red data[7:0]; LCD0-D[15:8] = green data[7:0] and LCD0-D[23:16] = blue data[7:0] for 24-bit mode right? 3. When I want to connect a touch screen to the I2C serial bus interface; what is the communication protocol? What registers should be written to/should be provided?